The Dubai Aquarium is home to over 30,000 animals and is a perfect place to escape the sun on a hot day. 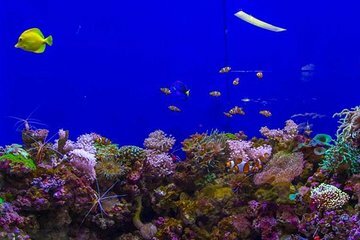 Walk through the world’s largest suspended tank and see a number of species of fish, rays, and sharks and then continue on to see a giant crocodile, penguins, and many more exciting marine animals. This admission ticket grants visitors access to the aquarium during opening hours.